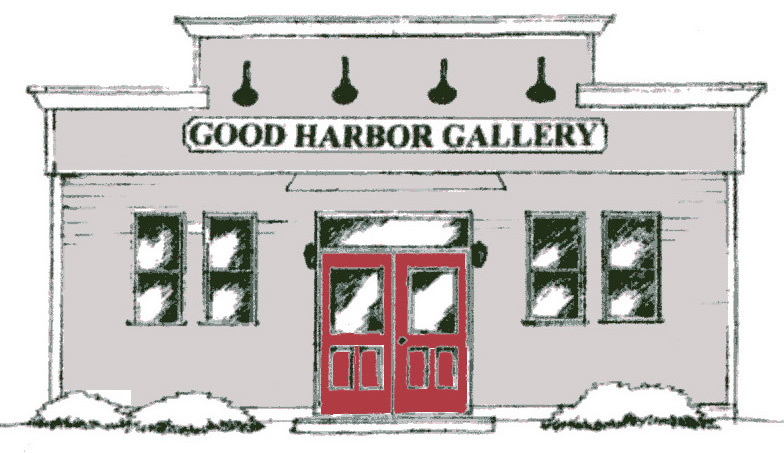 Good Harbor Gallery is a working Pottery Studio as well as a Fine Art Gallery. Owners Victoria and Gary Gallup started Good Harbor Gallery in Leelanau County in 2001. Situated along scenic M-22 near the National Lakeshore, the Gallery offers exceptional art by a small group of talented artists with ties to Leelanau County. Victoria's specialty is high fired stoneware and porcelain pottery and decorative ceramic tiles. She is also a painter and sometimes photographer. Gary is a photographer and specializes in landscapes and images of Leelanau County and the National Lakeshore. He also does pottery and painting. In addition to Pottery and Photography, our Gallery displays artwork from a selected group of local artists working in such mediums as Oils, Watercolors, and Pastels, plus fiber art such as Basketry. We would love for you to share us with your friends! You can also click here to be added to our email list! Get updates on our latest firings and annual fall art sale. Good Harbor Gallery is located near the Leelanau Sleeping Bear Dunes National Lakeshore, Corner of M-22 and Maple City Road. Open Fall and Summer, or by appointment. Family owned and operated selling high fire stoneware, framed and matted photography, plus prints and originals by local painters.